You can purchase the FULL version here ! 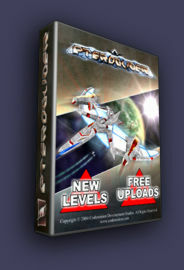 After payment you will receive a link where you will be able to download the FULL version of Pteroglider ! NOW A SPECIAL LIMITED OFFER ! No unlock codes ! No serial numbers ! ! The FULL version is only 11 MB ! We encourage you to play the DEMO version before obtaining the FULL one. To purchase Pteroglider Online: CLICK HERE ! To Review The System Requirements and Game Features: CLICK HERE !